The Samsung PWR-24AC-16-8UL 16-Camera 24VAC 8A Power Supply is a CCTV power center engineered to manage/remote camera and accessory power requirements. 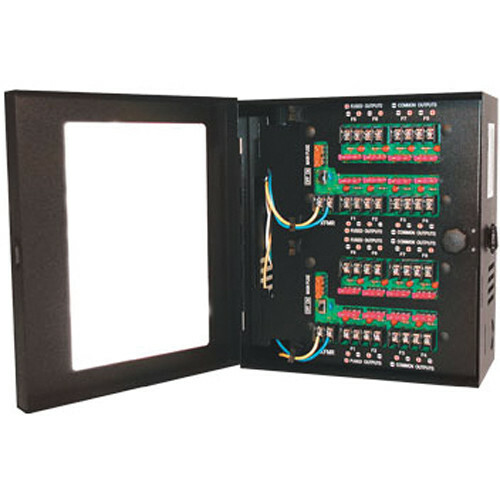 This distribution module is designed with sixteen individually-fused outputs for powering up to sixteen CCTV cameras and accessories. It provides 24VAC via distribution to sixteen fused outputs with a total of 8A continuous supply current via two 4A supplies. It is housed in a lockable heavy-gauge metal enclosure.